These are exciting times in the evolution of stream-processing. As we have seen in previous blogs, the digital twin model offers a breakthrough approach to structuring stateful stream-processing applications. This model organizes key information about each data source (for example, an IoT device, e-commerce shopper, or medical patient) in a software component that tracks the data source’s evolving state and encapsulates algorithms, such as predictive analytics, for interpreting that state and generating real-time feedback. Using digital twins offers three key benefits over more traditional, pipelined stream-processing techniques (such as Apache Storm and Apache Flink): automatic event correlation by data source, deeper introspection with enhanced state information, and data-parallel analytics to discover aggregate trends for all data sources in real time. 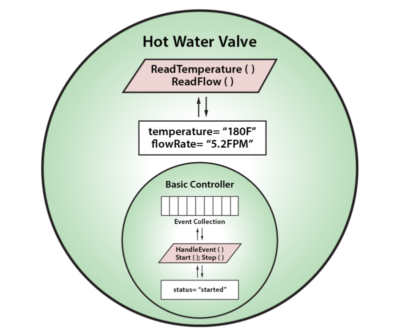 It represents a big step forward for building stream-processing applications. This object encapsulates both state information and code. State information includes a time-ordered list of the device’s incoming event messages along with key state information about the dynamic state of the data source. This information could include parameters, service history, known issues, and much more. Application code handles the management of the event list and the real-time analysis of incoming events, along with APIs for performing device commands. This code benefits from the rich context provided by dynamic state information, enabling deeper introspection than analyzing the event stream alone. The secret to keeping event analysis times low when handling events from thousands of data sources is to host these digital twin objects in an in-memory data grid (IMDG) with an integrated compute engine, such as ScaleOut StreamServer. IMDGs harness the memory and computing power of multiple commodity (or cloud-based) servers to scale computing resources, and they minimize network bottlenecks by analyzing events within the grid. Their NoSQL, object-oriented storage precisely fits the requirements for digital twin objects, making it straightforward to deploy and host these objects with both scalable performance and high availability. 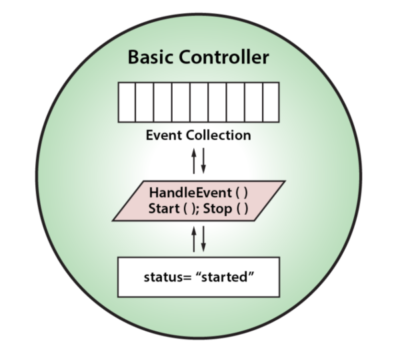 This subclass inherits all of the properties of a basic controller while adding new capabilities to manage specialized controller types. Using this object-oriented approach maximizes code reuse and saves development time. In this example, the pump room has two digital twins connected directly to devices, one for a hot water valve and another for a circuit breaker. These twins are both implemented as subclasses of a basic controller and add properties and methods specific to their devices. They feed telemetry to a higher-level digital twin instance which manages overall operations for the pump room. This digital twin also can be implemented as a subclass of a basic controller even though it is not connected directly to a device. 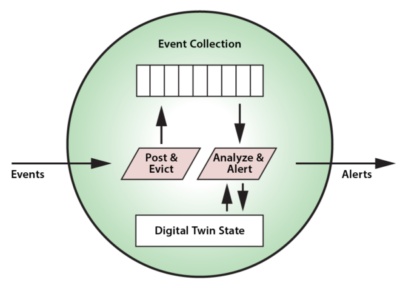 What’s important to observe about this example is how both object inheritance and hierarchy play separate roles in defining the digital twin objects which work together to analyze event streams. Inheritance lets us refine the behavior of digital twin models to customize their actions, and hierarchy lets us build systems of interconnected digital twins which process events at successively higher levels of abstraction. 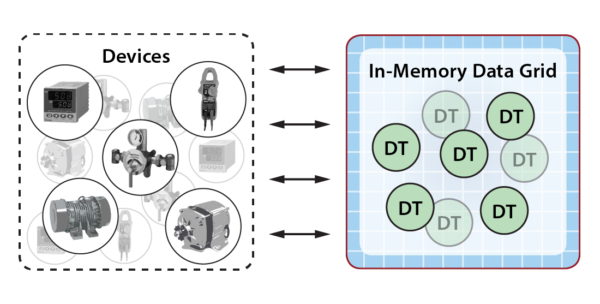 Digital twin models for stateful stream-processing have evolved from concepts largely unrelated to object-oriented programming, in particular, product life-cycle management and industrial IoT (where they are often called device twins). 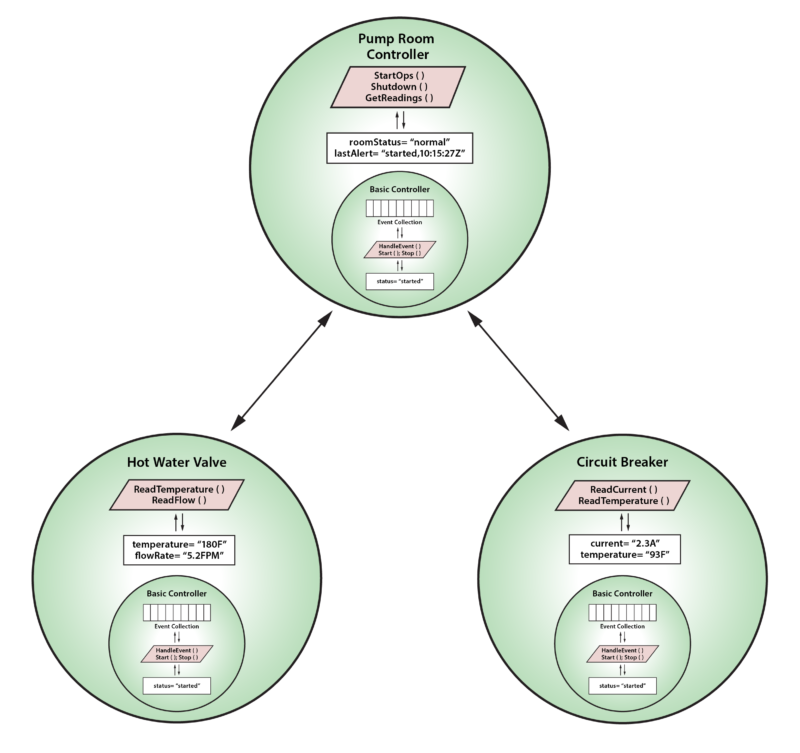 Object-oriented techniques give software developers powerful tools for applying digital twins to stateful stream-processing and streaming analytics. Applications now can benefit from automatic event correlation, stateful event analysis for deeper introspection, and the scalable computing power of IMDGs.